The idea for this layout Title came from a challenge issued during a crop at The (Scrap) Beach sometime last fall. I thought it was an interesting challenge but didn't get to complete it before the challenge deadline. So it became one of those layouts...you know the ones...that you keep in the back of your head or if you are like me written down in a sketch book. But never done. 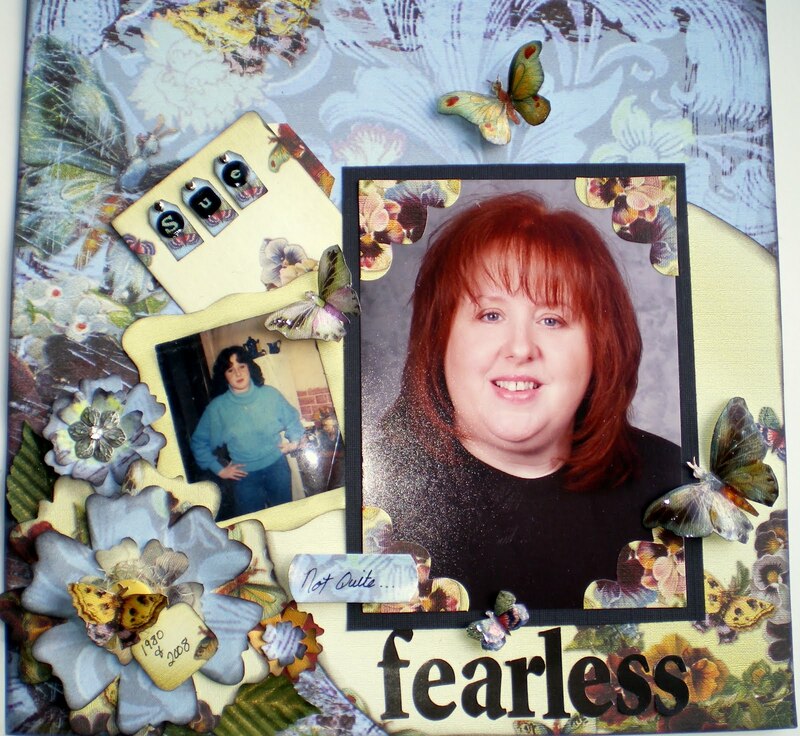 I have recently joined the site http://www.scrapbookchallenges.ning.com/ in hopes that they would challenge me to finish more 12 X12 layouts. One of their challenges for February was a sketch design that I found easy to work with and very inspiring so I decided to try this particular page on this particular design and I am happy with how it turned out. This page is about me...after years of wanting to be a HairStylist...finally going back to school. After all these years of working in offices which I loved, I get to do what I have always wanted to do! I worked hard all these years and now I get to still work hard but show a different creative side! Loving it!